44BC – Death of Julius Caesar. Declaring himself dictator for life the month before, and continuing to adorn himself with the trappings of power, he turned much of the Senate against him, with 66 members deciding that the only way to stop Caesar was to assassinate him. Ignoring his wife’s fears and that of some close friends, Caesar attended a meeting of the Senate. There, he was attacked and fell at the foot of Pompey’s statue. He was struck repeatedly, 35 times, and died. The murderers fled, leaving the body on the Senate floor. After a few hours, slaves carried it to his wife, Calpurnia. 1584 – Death of Ivan the Terrible. 1820 – Maine becomes the 23rd state of the Union. 1900 – Lord Salisbury, the British prime minister, rejects President McKinley’s offer to mediate in the Boer War. 1909 – London’s first American-style department store, owned by the American entrepreneur, GS Selfridge, opens on a 6-acre site in Oxford Street. 1917 – Tsar Nicholas II has abdicated, bringing to an end the 300-year-old Romanov dynasty. Following food riots in Petrograd, where soldiers refused to act against the crowds, a special Duma committee and the Petrograd Soviet demanded that Nicholas relinquish power. Prince Georgy Lvov has been appointed president. 1933 – Adolf Hitler proclaims the Third Reich in Germany. 1937 – America’s first blood bank is set up by Bernard Fantus, a Hungarian-American physician. 1938 – The notorious purges of the Communist Party under Joseph Stalin reached a peak today with the execution of 18 senior figures, several of them Lenin’s favourites. 1939 – Hitler’s forces invade and occupy Czechoslovakia. 1964 – Richard Burton marries Elizabeth Taylor. 1966 – Tom Jones wins a Grammy for Best New Artist. 1975 – Death of Aristotle Onassis, the Greek shipping tycoon. 1990 – Death by hanging of Farzad Bazoft, the ‘Observer’ journalist accused of spying in Iraq. 1792 – Tippoo Sahib, the most powerful sultan in India still resisting the British, has finally been beaten in battle by General Charles Cornwallis. The sultan’s secret was that he studied western military operations and had been able to second-guess British moves. He will now be forced to give up half his sizeable lands to the administration of the British East India Company. Despite this, he is far from crushed. 1802 – West Point, the US military academy, is established. 1872 – In the first English Football Association final, the Wanderers beat the Royal Engineers 1-0. 1888 – Émile Roger has made the first recorded purchase of a car in Paris. He has bought a Benz. 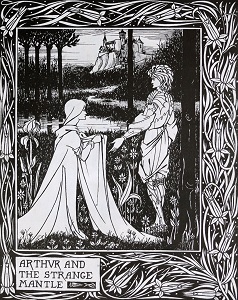 1899 – Death of Aubrey Beardsley, aged 25. 1900 – Sir Arthur Evans, the archaeologist, has unearthed an astounding hoard of antiquities dating from the 16th century BC at Knossos, on the Greek island of Crete. He has named the civilization the Minoan culture, after the mythical Minotaur, for he says there are signs the Minoans worshipped bulls. 1914 – Madame Henriette Caillaux, the wife of the French finance minister, has shot dead the editor of ‘Le Figaro’ to protect her husband against libel; she was later acquitted. 1915 – The Jockey Club in Britain has decided that war is no reason to stop horse racing. 1926 – American physicist, Robert Goddard, has successfully launched a liquid-propelled rocket. 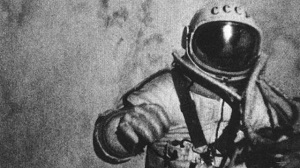 It uses a simple pressure-fed rocket that burns petrol and liquid oxygen. Although it did not travel far, the new fuel means much greater payloads. He developed it in his spare time without any funding, and has published detailed papers about his experiments, but the government has not expressed any interest. 1935 – Adolf Hitler has renounced the terms of the Treaty of Versailles. 1968 – American troops today massacred unarmed villagers in the South Vietnamese village of My Lai. The events of that day were covered up and it would take well over a year before a special investigation would take place. 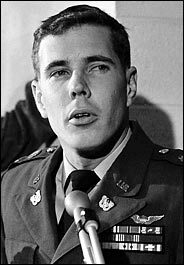 In 1970, a US Army board would charge 14 officers of crimes related to the My Lai massacre, but only one would be convicted, Lt. William Calley. 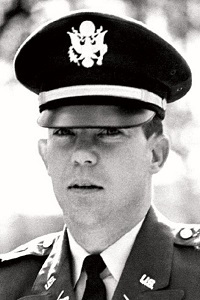 After receiving word that VC guerrillas had taken control of the area around My Lai, Charlie Company of the 11th Infantry Brigade, led by Lt. Calley, was sent on a search-and-destroy mission. Morale among US soldiers was, by this time, low, and Charlie Company had lost about 28 men already. Even though no Viet Cong were found, the men rounded up and murdered as many as 500 villagers, mainly women, children and old men. The men of Charlie Company were, not once, fired upon. The massacre was reportedly ended when Warrant Officer Hugh Thompson, an Army helicopter pilot on a reconnaissance mission, landed his craft between the soldiers and the retreating villagers, threatening to open fire if the soldiers did not cease their attacks. Afterwards, officers covered up the details, until another soldier, Ron Ridenhour, began a campaign to bring the events to light. Amid international outrage, the US Army ordered a special investigation, and the subsequent report recommended that 28 officers be charged. But of the 14 who were charged, all were acquitted except for Lt Calley, who was given a life sentence, which was later reduced; he was paroled in 1974. 1973 – Queen Elizabeth II opens the new London Bridge. 1337 – Edward, the Black Prince, is made the first Duke of Cornwall. 1766 – Parliament is voting on the repeal of the controversial Stamp Act, the main cause for the mood of rebellion in the American colonies. 1845 – Stephen Perry patents the rubber band. 1853 – Death of Christian Doppler, the Austrian physicist. He coined the term, ‘Doppler effect’, to explain the apparent change in the frequency of a wave as the source moves relative to the observer. 1886 – The young Dutch painter, Vincent van Gogh, has moved to Paris to further his training under the supervision of his brother. 1899 – The first radio distress call has been sent by a merchant ship that has run aground off the English coast. 1921 – Dr Marie Stopes, the women’s rights campaigner, has opened the Mothers’ Clinic in North London to advise mothers on how to avoid having more children, despite resistance from church leaders and doctors. 1958 – Death of Sir George Wilkins, the Australian-born polar explorer. 1959 – The US submarine, ‘Skate’, has surfaced at the North Pole after completing a historic under-ice voyage. 1968 – Violent demonstrations are taking place outside the US embassy in London against American involvement in the Vietnam War. 1969 – Golda Meir, aged 70, takes office as Israel’s first woman prime minister. 1978 – The ‘Amoco Cadiz’, a tanker, has run aground off the Brittany coast. It has split in two and its massive cargo of crude oil is now discharging into the sea. 1983 – Margaret Thatcher is the target of the IRA’s letter-bomb campaign. 1991 – Soviet voters are voting to decide if their country should remain a single unit, with President Mikhail Gorbachev campaigning for a ‘yes’ vote, and his rival, Boris Yeltsin wanting a ‘no’. 978 – The teenage King Edward is murdered at Corfe Castle. His stepmother, Aelfryth, is believed to be implicated in the deed as she made no secret that she wanted the crown for her son, Ethelred the Unready. 1745 – Death of Robert Walpole, Britain’s first prime minister. 1850 – The American Express Company is set up in Buffalo, New York. 1890 – Otto von Bismarck, the powerful German chancellor, has been dismissed from his post by Kaiser Wilhelm II. Bismarck has governed Prussia, then Germany, with a policy of “blood and iron” since 1862. Not even his empire-building ability has saved him from the strong-willed young Kaiser. 1891 – The official opening of the London-Paris telephone system. 1931 – Schick Inc. starts to manufacture electric razors. 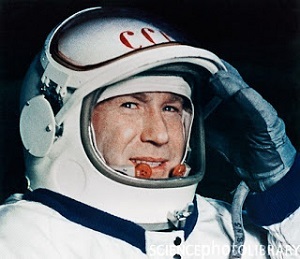 1965 – Aleksei Leonov, a Soviet cosmonaut, has become the first man to walk in space. Secured by nothing more than a slender lifeline, he also took the first hand-held film images of the earth during his momentous 15 minutes. 1978 – Aldo Moro, Italy’s former prime minister, has been kidnapped by Red Brigade terrorists, who pulled him from his car in the centre of Rome. They have accused him of a number of “crimes against the people”. 1978 – Zulfikar Ali Bhutto, Pakistan’s former prime minister, has been condemned to death by an army judge in Lahore after being found guilty of ordering the murder of a political opponent in 1974. 721BC – The first-ever record of an eclipse of the sun is made by the Babylonians. 1791 – French and English-speaking settlers in Canada are granted equal rights. 1834 – Six farmworkers have been sentenced to 7 years in Australia as punishment for trying to set up a rural trade union. The men, called the Tolpuddle Martyrs after their village in Dorset, wanted to set up a branch of the Friendly Society of Agricultural Labourers. The punishment is effectively a death sentence because of the harsh conditions, not just in the colony, but on the ships which transport the convicts. 1920 – The US Senate has voted against joining the League of Nations. 1930 – Death of Arthur Balfour, prime minister from 1902 to 1905. 1932 – The opening of Sydney Harbour Bridge in New South Wales, the world’s longest single-span arch bridge (now the 6th-longest). 1950 – Death of Edgar Rice Burroughs, aged 75. 1958 – Britain’s first planetarium opens in London, at Madame Tussaud’s. 1976 – Princess Margaret and her husband, Lord Snowdon, the photographer, separate after 15 years of marriage. 1982 – Fifteen English cricket players have been banned for 3 years for breaking the international sports boycott of South Africa, where the players are on a ‘rebel’ tour at the moment. 1413 – Death of Henry IV. 1602 – Following the establishment of the British East India Company 2 years ago, the Dutch East India Company has been granted the monopoly of all trade between Holland and the lands lying between the Cape of Good Hope and the Straits of Magellan. Based in Batavia on the island of Java, it hopes to displace Portuguese traders and deny the English a foothold in the lucrative Indies spice trade. 1739 – Nader Shah, the Persian ruler, sacks the city of Delhi. 1792 – The French Legislative Assembly has approved the use of the guillotine as a means of capital punishment. 1815 – Napoleon Bonaparte has re-entered Paris after a year of exile on the island of Elba. King Louis VIII has fled to Belgium, and Russia, Britain, Prussia and Austria are, once more, preparing for war. 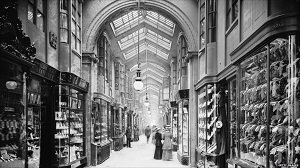 1819 – Burlington Arcade, the exclusive shopping mall, opens in London. 1841 – Edgar Allan Poe has today published ‘The Murders in the Rue Morgue’, a work of fiction that critics are citing as the first example of a new style, the detective story. 1929 – Death of Marshal Foch, commander of the French forces in the First World War. 1934 – Radar is first demonstrated in Kiel harbour, Germany. 1969 – John Lennon marries Yoko Ono. 1974 – Princess Anne was the target of a kidnap attempt, but escaped unhurt. The gunman, Ian Ball, ambushed her car and fired 6 shots into it. He tried to drag her out but was beaten off by her husband, Mark Phillips, bodyguards and a passerby. He escaped but was later caught. 1980 – Radio Caroline, the radio pirate ship, sinks. 1990 – Imelda Marcos, wife of Ferdinand Marcos, the ex-president of the Philippines, is on trial in New York for fraud. 1990 – Namibia is finally free of the illegal military occupation by South Africa, with the declaration of its independence. 1556 – Thomas Cranmer, the first Protestant Archbishop of Canterbury, is burnt at the stake as a heretic under the Catholic Queen Mary I. 1788 – New Orleans has been destroyed by fire. 1806 – The Lewis and Clark expedition has turned towards home. Army captains, Meriwether Lewis and William Clark, set out from St Louis almost 2 years ago, and their expedition has proved there is no easy water route across the American continent. 1829 – The Duke of Wellington, the prime minister, has fought a bloodless duel with the Earl of Winchelsea over Catholic emancipation. 1871 – Chancellor Otto von Bismarck has opened the first parliament of the newly declared German Reich. 1896 – Britain’s first cinema opens in London’s Piccadilly Circus. 1918 – A massive offensive on the Somme has been launched today by Germany’s field commander, General Erich Ludendorff, in a bid to break the Allied line before the arrival of American reinforcements. German troops are advancing rapidly along a 60-mile front, and the Allies have already been forced back, with British troops bearing the brunt of the attack. 1933 – The first parliament of Nazi Germany is proclaimed, with Adolf Hitler as chancellor. 1946 – Labour’s Minister of Health, Anuerin Bevan, announces his government’s plans for a National Health Service. 1960 – South African police have shot dead 69 black people at Sharpeville, a black township in Transvaal. A large group of between 5,000 and 10,000 had converged on the local police station, offering themselves up for arrest for not carrying their passbooks. The police were completely unprepared for the demonstration. Sources disagree as to the behaviour of the crowd; some say they were peaceful, while others say some had been throwing stones. 1963 – Alcatraz prison in the bay of San Francisco closes.